Sathyan Anthikkad Fans Blog: KRP and Kottappally again....!!! Yes...its true...They are back...The most beautiful political movie of 90's, Sandesam is going to have a sequel. After Sreenivasan's "Oru Nal njan varum", he will start working on this movie.Sathyan sir also is now busy with his new Jayaram movie.Probably the shooting will start this year itself.Sandesham is still in the memories of all good film lovers.Especially that "pennukanal scene" and "poland" scene.But surely we will miss one person in this movie, our Oduvil Unnikrishnan. 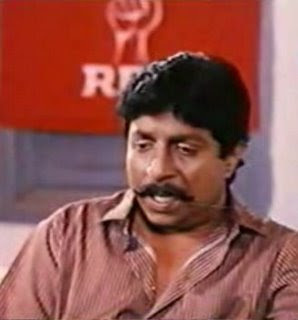 Sathyan sir speaks about "Sandesam.....!!! I presume we will miss the main pillar of sandesham as well. 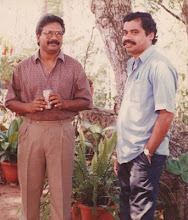 Mr. thilakan ! He was the key player of the movie eventhough other characters excellant in their roles. I am sure they will tell that thilakan passed away and his sons are fighting for politics. if that is the case this movie will not work at all in a proper way!